Below are a few tips to keep in mind to have a safe and accessible kitchen remodel! The flow of traffic within the kitchen should be taken into consideration as well. 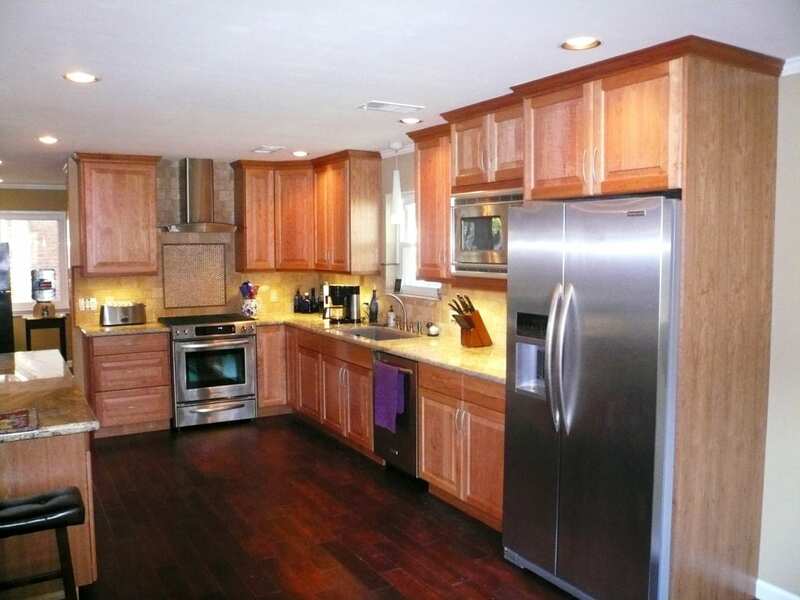 Most importantly, you’ll want to direct traffic away from the cooking areas. Be sure to place your range away from entrances and exits. Also, when thinking ahead to the future, or if you have aging family members who will be accessing your kitchen, you may want to consider building in enough space for wheelchair clearance using ADA compliant standards. An overall shift to LED lighting is the trend in almost all remodels, as the lights are long-lasting, energy efficient, and easy on the eyes. You’ll want to ensure that you supplement your general lighting with task lighting that properly illuminates work surfaces. Task lighting should be set up to reduce glare in order to prevent shadows on your workspace. This will help decrease the chance for injury when using knives and preparing meals. Kitchen flooring needs to be durable and safe. Cork and rubber surfaces provide comfort and good traction. They are also conducive to wheelchair use and hide scuffs well. Ceramic tiles and marble are durable. However, you’ll need to be extra diligent to keep them dry in order to avoid slips and stumbles. If you go that route, you’ll want to place non-slip mats or rugs around certain areas—like the kitchen sink—where spills and splashing water are more likely. You should install outlets in accordance with the proper safety codes in order to prevent circuit overload and potential fires. All outlets in the kitchen should be grounded and protected with ground-fault electrical interrupters. You should always work with a qualified electrician when installing new outlets, appliances, and lighting. If your home does not already include one, you can have a sprinkler system retrofitted into your existing kitchen. Even with a sprinkler system installed, you’ll also need to keep a fire extinguisher stored in a safe and easily accessible location in the kitchen. The extinguisher should preferably be kept near an exit and away from cooking equipment such as the stove or range. When planning storage, be sure to have a dedicated area away from cooking areas for flammable objects such as mitts, potholders, and aprons. In terms of appliances themselves, induction cooktops are growing quickly in popularity for their safety features such as cool surfaces and auto shut-off. Your kitchen should be a place to come together with friends and family, enjoy the art of cooking, and relax. You should be able to rest easy knowing that you’ve designed a kitchen that will keep you and your loved ones safe. Regardless of your kitchen style preferences or needs, safety should be top priority when planning your next remodel. 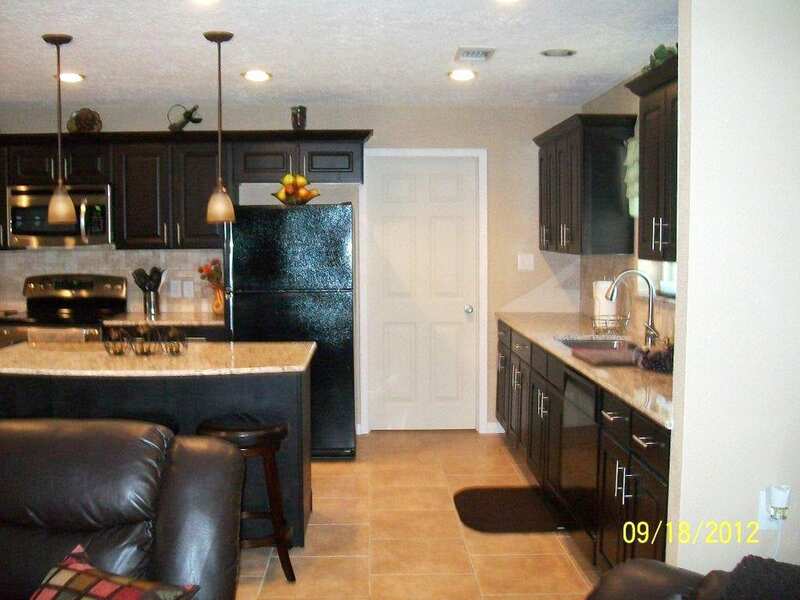 Call our kitchen remodeling experts at All Star Construction, Inc. 281-847-0294.